Is Your Home (And Roof) Ready For Winter? Old Man Winter is on his way, and while we don't tend to experience extreme conditions when it comes to the winter months here in Texas, things can still get a little rough--especially when it comes to ice. Here is a handy article from the Regina Leader-Post offering helpful tips on getting your home (and roof) ready to face the colder temps! There’s the usual stuff home-owners do to get their homes ready for winter: clean the gutters, rake the yard, wrap the trees. They’re all smart moves but there are also bigger projects with big payoffs. Your roof protects your home from the top down, shielding it from rain, snow, hail, ice, wind — you name it. If there’s a problem on the roof, there’ll be a problem in-side your home — maybe not right away, but give it a couple of seasons. You’ll start to see the signs: leaks, animals in the roof, ice damming and heat loss like you wouldn’t believe. Check to see if any shingles are missing or look worn out. Are they buckling, curling, or missing sections of granules? When cleaning the eavestroughs, if you ﬁnd large amounts of asphalt granules that’s a red ﬂag for re-shingling. Don’t wait for spring to do roofing work; do it now, if you can. Most good roofers will be booked, but a couple might be able to squeeze you in by early December, which isn’t too bad if Mother Nature’s on our side. Your attic is a cold zone. It must be the same temperature as outside. If your attic doesn’t have enough insulation, those outdoor temperatures will make their way inside, which is a huge waste of energy and money. And who wants to live in a cold house? Your attic should be sealed from the rest of your home with vapour barrier and have a minimum of 30.5 to 38 centimetres of blown-in insulation, which shouldn’t block any vents or soffits. Your attic needs to breathe so moisture can escape and we don’t get things like mould. If you have a wood-burning chimney get the flue cleaned by a pro. You should be doing this at least once a year, no exception. Creosote (soot) can build up on the in-side of the chimney, which is a huge fire hazard. It’s very ﬂammable. All it takes is just one spark from a burning log and you can have a chimney ﬁre. Cleaning the ﬂue can also reveal if there’s a crack or anything blocking it on the inside. If there is, toxic fumes like carbon monoxide (CO) can enter your home. Gas ﬁreplaces should also be checked out once a year by a technician, to make sure they’re working properly. Do not risk a CO leak. This is something all homeowners should have done by a licensed technician as soon as possible. Don’t wait for a freezing cold day to ﬁnd out your furnace doesn’t work. Old or worn windows should be upgraded to at least double or triple-pane, low E and argon-gas-filled models. Check out the framing around your windows and doors, too. Are there gaps? Are they rotting? If they are, I guarantee you are losing heat and letting moisture in. A good window installer will automatically repair the framing. It will cost more but it’s absolutely necessary. If any caulking is brittle, shrunk or cracked, replace it. Bad caulking also lets moisture and drafts intrude. Moisture leads to rot and mould; drafts lead to heat loss. Your home could lose up to 30 per cent of its heat this winter thanks to drafts. Caulking and replacing the seal or weatherstripping on doors and windows can help stop that. 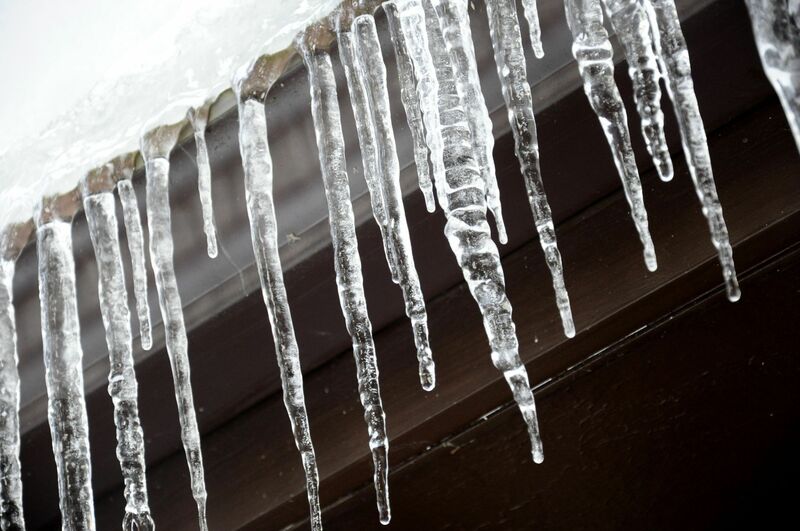 Check them in areas such as the crawl space, garage or along a basement wall that isn’t insulated. Insulating pipes helps prevent them from bursting. Doing what you can now to protect your home saves money by preventing repairs and reducing energy use. Do the work now so you can re-lax over winter and be a few steps ahead next spring. Allen Irving Plano And more!